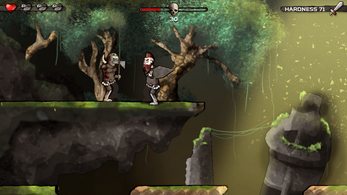 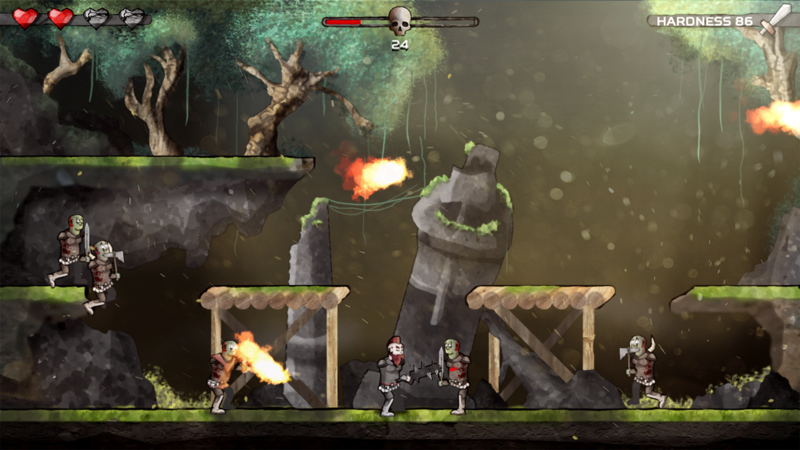 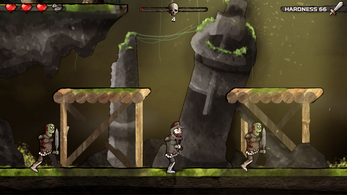 Smash Smith is an compo entry for Ludum Dare 36, based on theme "Ancient Technology". 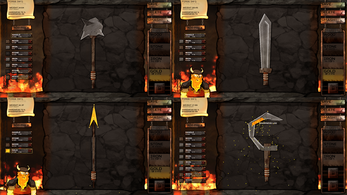 The game objective is protect the old dwarven forge by creating your own unique weapon and fighing the enemy orcs. 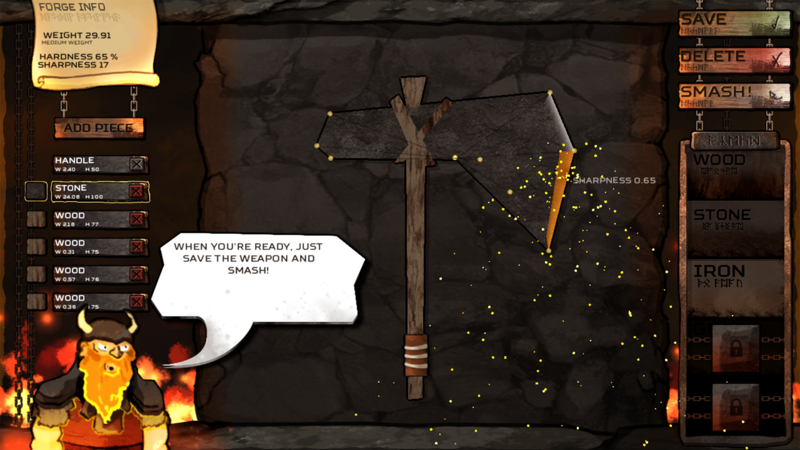 Weapons can have different atributes as you forge them, it can be a very light and sharp sword or you can craft a big and heavy stone hammer. 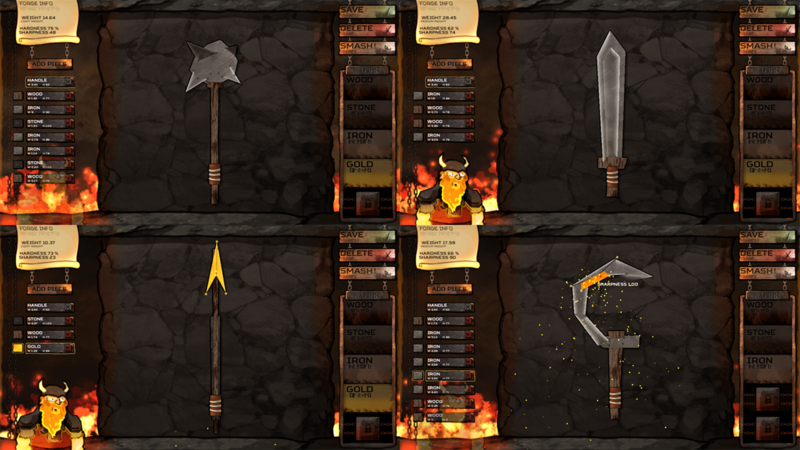 Forging better weapons gives you more chance to survive the attack and unlock new materials to improve your weapon. 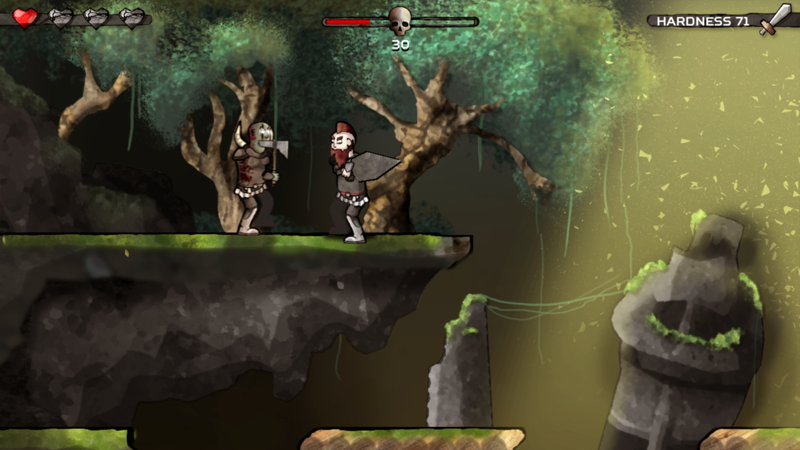 This game was made in 48 hours, it already complete and I'm not working on it anymore, although I will reply any comment and sugestions, so, fell free to talk with me.